I finished a light an airy scarf that was a dream to knit. The One Row Lace Scarf pattern was easy to follow and with some focus I was able to knit while watching television. 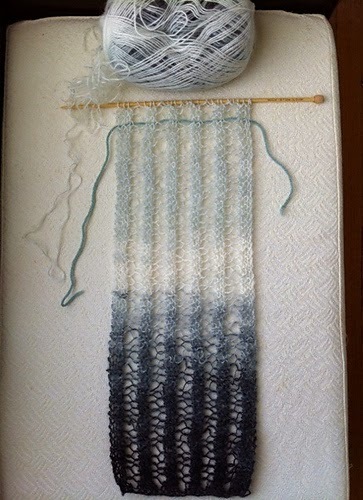 I was able to knit and complete the scarf with the darker sections of the variegated yarn at both ends of the scarf, during the blocking process I was able to gain some extra length to the scarf.